New Zealand Law Foundation’s Distinguished Visting Fellow for 2018, Professor Tim McCormack will be visiting UC from Wednesday 2 – Monday 6 August. Professor McCormack is Dean of the University of Tasmania Law School and a Professorial Fellow at the Melbourne Law School. He is also the Special Adviser on International Humanitarian Law to the Prosecutor of the International Criminal Court in The Hague and a Director of World Vision Australia. An international group of experts met under the auspices of the NATO Cooperative Cyber Defence Centre of Excellence in the Estonian capital and drafted two Tallinn Manuals on the International Law Applicable to Cyber Operations. The initiative was a proactive attempt to identify applicable law before there is a major cyber-attack on critical infrastructure with potentially devastating consequences. Professor McCormack was a member of the international group of experts to draft the 2nd Tallinn Manual and he will discuss the drafting process, some of the most important findings in the Manual and the future significance of the Manual. The new Enrol in Person process for international students led by the Student First Programme was put to the test last week, as international students arrived on campus to complete their enrolment ahead of Semester Two. Students were welcomed by friendly UC volunteers and went on a campus walking tour while their documents were processed behind the scenes. Feedback captured so far points to a positive student experience on the enrolment days – they commented that the process was easy, they felt welcome and overall the enrolment days were less stressful and more enjoyable for both students and staff. Academic Managers and Student Advisers for juggling your busy schedules and doing your best to prepare students for enrolment. High-five! 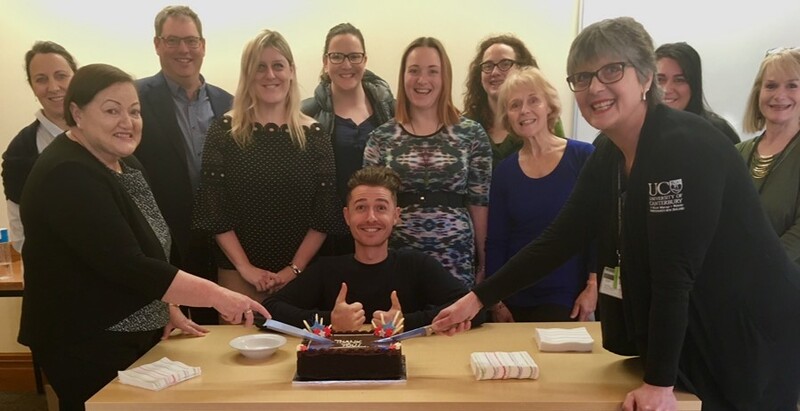 Reflecting on how far we have come since our review of the Enrol In Person process in March/April, what we achieved is a great example of what can be done by a small, determined group of individuals working collaboratively towards a common goal. This new process is a great step forward in transforming the student administration experience. Watch this space for a full review and some great footage from the enrolment days, as well as further updates on how we’re continuing to work on the process for Enrolments 2019.
International students really do make a difference, including contributing to the future of our city when they visit UC. 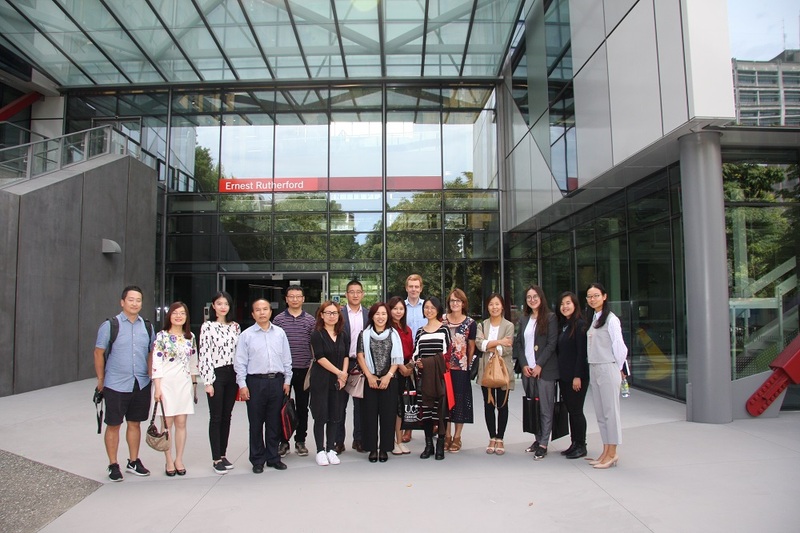 Students from three elite international universities – Oxford, Peking and Beihang – have visited UC in recent months to develop and present ideas on the future of Ōtautahi Christchurch. The University’s International Relationships Office is working to further strengthen connections between the city and these prestigious learning centres. Re-imagining the City of Christchurch was the challenge put to 18 students from Oxford University and 27 students from Beijing’s Peking and Beihang Universities during respective UC-hosted visits here in September 2017 and January/February 2018. Supported through lectures, discussions and field trips, the students were encouraged to develop ideas on the city’s future. Their final presentations, attended by representatives of city agencies including Christchurch City Council, were well-received. International Partnerships Coordinator William Shannon says the students used every minute of their short time in Ōtautahi Christchurch to engage with the city and the content of their respective courses. Emeritus Professor Eric Pawson, who helped design the students’ programmes, says their research projects were of real value, producing valuable ideas across a range of disciplines. This September, the University will again host students from Oxford, reflecting the deepening bonds between the two universities. After the 2011 earthquakes, Oxford offered dozens of places to our senior scholars to spend a term studying there. Our University has also sent groups of students to Peking University, most recently in November/December 2017. While there, students conducted research on behalf of the Canterbury Mayoral Forum and ChristchurchNZ to examine how to boost migration to Canterbury for study and work. Their final reports were well received, paving the way for future research and collaboration.